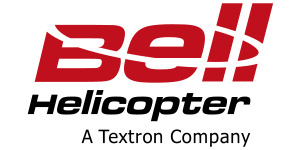 Bell Helicopter, a Textron Inc. company (NYSE: TXT), Fort Worth Independent School District (FWISD) and Tarrant County College (TCC) announced today a collaborative effort to provide advanced aviation and engineering training for students at Dunbar High School. Representatives from Bell Helicopter, FWISD and TCC landed in a Bell 407GX at Dunbar High School in Fort Worth today to introduce the program to students and members of the community. Bell Helicopter, FWISD and TCC are working together to develop and implement a rigorous curriculum for aviation and engineering programs, offering students industry certification and dual credit. Tailored training to meet current and future industry needs will be incorporated into existing aerospace and engineering courses and the curriculum will emphasize building skills in key areas, including computerized numerical controlled (CNC) machining and advanced composite bonding. The program allows students to complete their training in 18 to 24 months and includes a senior project that will help determine if the student will be recruited by Bell Helicopter and other companies in the aviation industry at the end of the course. Currently, the 2013 9th and 10th grade classes at Dunbar High are experiencing the new curriculum for the first time. A separate team of curriculum developers consisting of Fort Worth Dunbar High School faculty members, Tarrant County College technical trade skill instructors, FWISD Career and Technical Education coordinators and Bell Helicopter technical training specialists are working together to incorporate specific industry production and manufacturing requirements, techniques and practical applications skills into tracts that will best position graduates to qualify to participate in the Tarrant County Advanced Composite and CNC Machining programs. The Tarrant County programs will then provide them with the higher skills and knowledge that will qualify them for employment in the aviation industry. The proposals for the programs will be submitted to the Texas State Workforce Commission for state recognition and certification by 2015. Tarrant County College is a comprehensive two-year institution dedicated to providing quality education that exceeds the expectations of the people of Tarrant County. The College offers a wide range of opportunities for learners of all ages and backgrounds, including traditional programs, such as the Associate of Arts degree, Continuing Education courses, workshops and customized training programs. The College has five campuses throughout Tarrant County, including the Trinity River Campus East Center for Health Care Professions.